Afternoon Tea Corinthia Hotel London. Step into a world of exquisite luxury with Afternoon Tea at Corinthia Hotel London. Available to Book Online Today. Indulge with a luxurious, Champagne Afternoon Tea at Conrad London, St. James. 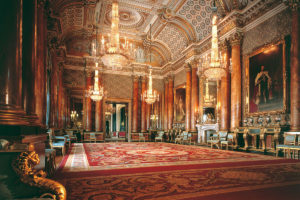 Afternoon tea deal London. Cameras at the ready for this fun-tastic Vintage London Bus Tour with Champagne Cream Tea, Thames River Cruise. 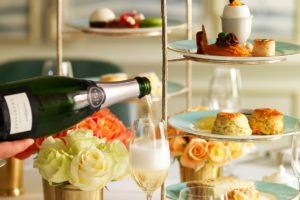 Treat someone special to a Bottomless Champagne Afternoon Tea at the Grosvenor House, Park Lane, London. Enjoy picturesque views across Hyde Park. Step on board for a unique Afternoon Tea on The Yacht, London. A fantastic riverside setting with views across London’s bustling Thames. Enjoy a fabulous day in the capital with this London Gin Bus Tour with Afternoon Tea. 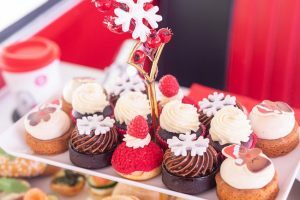 Visit the Coca Cola London Eye & Enjoy Afternoon Tea for Two at Brasserie Blanc.